PetitMarin93 - Looking for transatlantic crew openings! Looking for transatlantic crew openings! 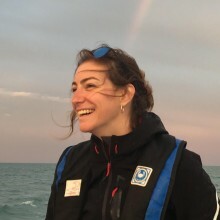 Hi :) I have some experience sailing, though quite recent - and have yet to cross an ocean. I can take shifts, I enjoy making food and I'm an junior doctor (ENT resident). Easygoing and happy to be on board! Morgane.